The Chosen One must be retrieved from Earth. He will bring down the wall and restore the kingdom to glory. His name is Tom Parking. There's just one problem—the kingdom is mostly made of garbage from Earth. Okay, well, two problems, the second being that the king hates Tom. Also, the princess likes to wear fake mustaches. And being Chosen One seems to consist mainly of cleaning out rats' noses at the Royal Rat-Snottery. When Tom turns down the job of Chosen One, he thinks he's making a smart decision. 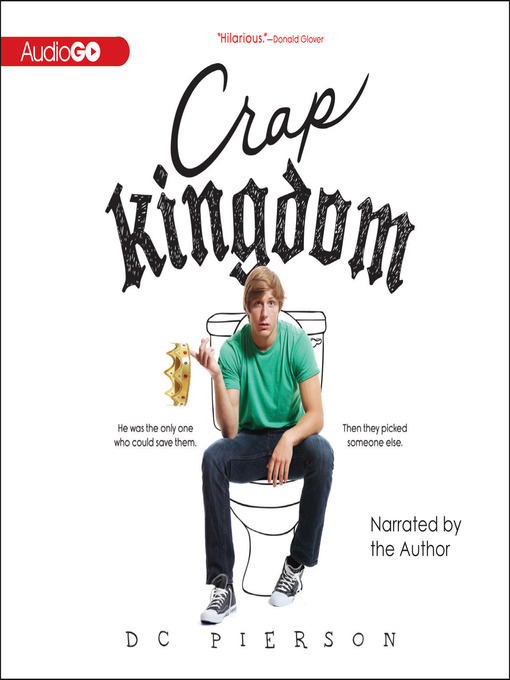 But when Tom discovers he's been replaced by his best friend Kyle, who's always been cooler, more athletic, and better with girls, Tom wants Crap Kingdom back—at any cost. And the hilarity that ensues will determine the fate of the universe. D. C. Pierson is one-fifth of the popular sketch comedy group Derrick, whose videos have been viewed over 250 million times online. He cowrote and costarred in their feature film Mystery Team, which went to Sundance in 2009, was released theatrically by Roadside Attractions, and is available on DVD from Lionsgate. His first novel, The Boy Who Couldn't Sleep and Never Had To, won an Alex Award for adult books with special appeal for teen readers from the American Library Association. He lives in Hollywood, California. Adult author Pierson (The Boy Who Couldn’t Sleep and Never Had To) delivers a cutting sendup of a traditional portal fantasy in this story of a Chosen One who fails to live up to his legend. 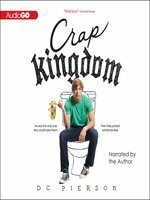 Tenth-grader Tom Parking’s life is perfectly average and acceptable until he’s taken away to a mystical kingdom where he’s destined to do great things. But the kingdom, which doesn’t even have a name, stinks, in Tom’s opinion. It’s boring, dirty, and filled with trash, and its inhabitants are jerks (worse still, the prophecy about Tom is written in Times New Roman, and not even centered properly). Disappointed, Tom turns his back on the whole thing, but he’s flabbergasted when his best friend Kyle is picked as the new Chosen One—and turns out to be a much better choice. There’s a subtly cynical, almost mean-spirited feel to the humor, as though Pierson is not-so-affectionately mocking the source material even as he mines it for inspiration. Luckily, some narrative twists and surprises redeem the story, shedding light on a bigger picture. Ages 12–up. Agent: Daniel Greenberg, Levine Greenberg Literary Agency. Donald Glover "A hilarious and surreally honest book. Crap Kingdom is anything but the first half of its title."